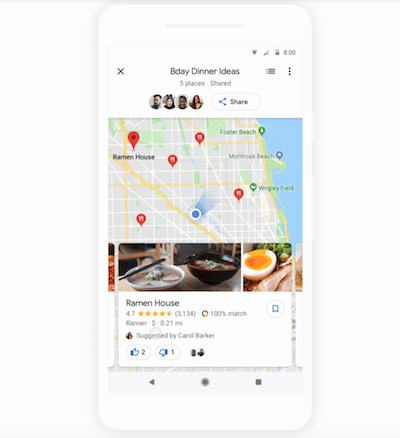 Google Maps has today announced the launch of a new feature that lets you and your friends easily plan where to go as a group. So the next time you are trying to pick a place for dinner but no one wants to make the decision and you don’t know where to go, this new feature should come in quite handy. In order to make use of the new feature, simply long press on any place to add it to a shortlist. You will notice a small floating bubble on the side of your screen. Once you’ve added all the places of interest, you can quickly share the list with your friends on any messaging platform, add or remove additional places, and vote together in Google Maps. The new group planning feature for Google Maps is rolling out now on iOS and Android.